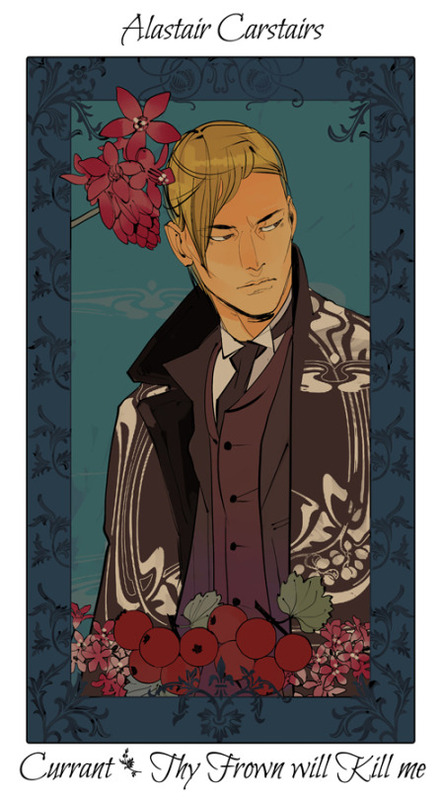 child and only son of Elias and is also best friends with Charles Fairchild. Cordelia on the other hand, is the youngest child and only daughter of Elias and she and her brother actually don’t get along very well. She finds her brother annoying. Cordelia is set to become parabatai with Lucie Herondale, and also speaks Farsi, probably taught to her by her mother who is Persian. Cordelia is said to split her time between Paris, London, and Idris. 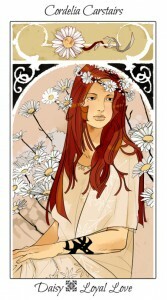 Cordelia is the stereotypical red-head, probably much like Clary in her feisty attitude. 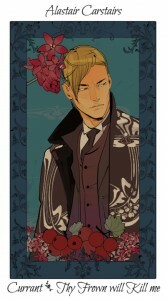 Cordelia has been in love with James Herondale since she was 10 years old. 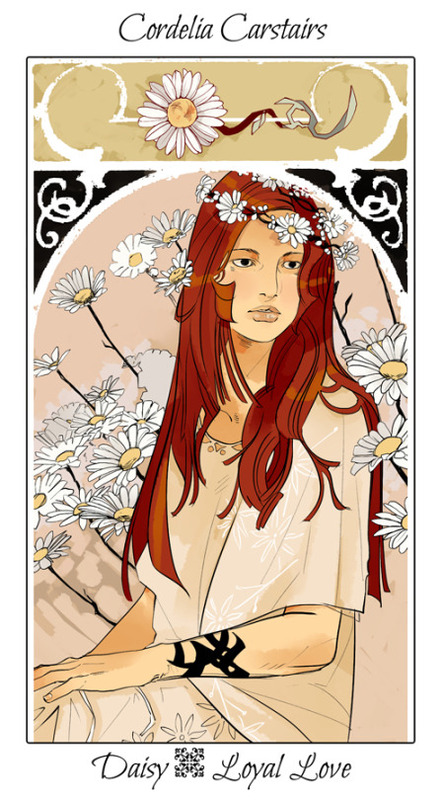 She has two nicknames, some people call her “Cordy” and James Herondale gave her the nickname “Daisy” when they were little.